Never before has the true story of America's founding city been captured in so vivid and informative a documentary. Philadelphia-the birthplace of the United States of America-was also the place where men and women with an unmistakable and strong Judeo-Christian witness and worldview providentially gathered to forge the greatest nation of civil and religious liberty the world has ever known. The Bible was a palpable element they employed in virtually every deliberation and decision to form this country. Join former Philadelphia Mayor Dr. Wilson Goode and acclaimed historian, author, and scholar Dr. Peter Lillback as they lead us through Philadelphia's and our nation's founding history, and discover along with them how God and the Bible are an intrinsic and undeniable parts of our nation's fabric. 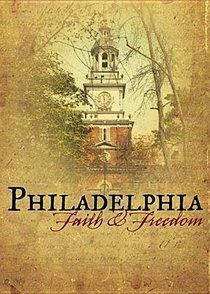 About "Philadelphia Faith and Freedom"